The Van Halen rumor mill continues with an all original lineup set to tour in 2019. In a recent interview with Vulture, original frontman David Lee Roth claims the group will reconvene next year for a stadium run of summer tour dates. “When we come back through town in the summertime and do the original thing, maybe somewhere sportin’, maybe with somebody famous, I’ll make sure we get you all tickets so you can see what we do for gainful employment. My mom still wonders,” he tells Vulture employees during an impromptu stop at their New York City offices earlier this month to promote his new skin-care products designed to keep tattoos from fading. 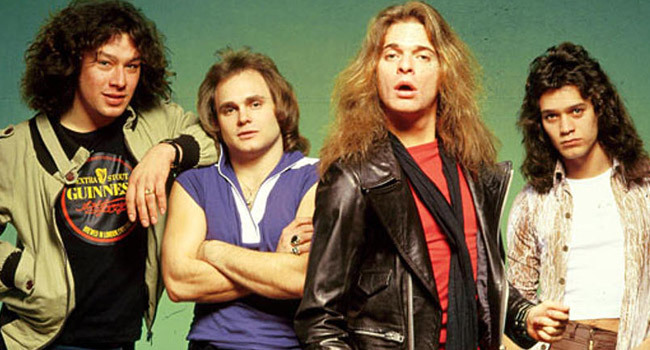 Last week, SiriusXM host and rock historian Eddie Trunk spoke about the rumors of the original lineup of Roth, guitarist Eddie Van Halen, drummer Alex Van Halen and bassist Michael Anthony reuniting. He claims the “rumblings” are coming from a “reliable source” in the industry but are just rumors. “I hesitate to even talk about this because every year there’s some rumor about Van Halen about to do something or announce something, and ultimately it just doesn’t happen, but, a little more so than normal as we close out 2018, I’m starting to hear some rumblings,” Trunk states on his SiriusXM radio show that can be heard below. “I have sources and people I hear from and stuff that – as I was saying the other day, has to remain off the record, so I cannot cite my source, but I did hear from somebody who is in the music industry, who told me that he has spoken to some people and he’s hearing from some people that there indeed will be some Van Halen activity in 2019 in terms of live shows. “And the rumors are – and it’s again, I stress rumors, rumors, rumors. Did you hear me say rumors? The rumors from reliable sources – but still rumors that are unconfirmed – is that the band will tour in 2019 with the original band, which would mean the return of Michael, and that there it’s gonna be some sort of stadium package. “So again I cannot stress enough that is not confirmed in any way shape or form but there are starting to be some real substantial rumors about that as we close out 2018. And somebody who will remain anonymous, who contacted me because he was listening to this show yesterday (Dec 21st), said that he also has heard that – and he is actively in the industry. “And that would tie into what David Lee Roth said when he’s running around selling his skin cream or whatever it is that he’s doing – that Van Halen would play Yankee Stadium [in New York City]. He told an interviewer that Van Halen would play Yankee Stadium. “I don’t think that Van Halen – even with the original band, I think Van Halen would need to have to do a full stadium tour of America. Even bringing Michael back, hypothetically, I still think they probably want a little more meat on the bone to sell it – meaning I don’t think they would do it just them. I’m thinking if it were to happen, it would be more of a – sort of like Def Leppard and Journey did some stadiums. Maybe not that much of a pure co-headline, but Van Halen with one or two real-name acts on as support. And that would also tie into one of the things that Roth said because he mentioned some other bands that they might be playing with. The original lineup hasn’t performed together since Roth originally left the band in 1985. He was replaced by Sammy Hagar and the band became arguably more successful and mainstream. Anthony left the band in 2004 and was replaced by Eddie’s son Wolfgang in 2006, apparently causing a big rift between Anthony and the Van Halen brothers. Van Halen and Roth have reunited off and on for tours in recent years. Around this time in 2016, we reported that a reunion tour and album was set for the group’s 40th anniversary this year, but nothing has come of it thus far. It was also suggested that Hagar would some how “take part” of the festivities as he and Eddie exchanged tweets after years of silence between the pair. However, Hagar has stated several times in the past that he would never return to Van Halen without Anthony. We will share any confirmation or further details should they become available.